Blinky Rodriguez in his office with a boxing pose and gloves. Lilly Urquidez, with Blinky Rodriguez her husband, when they won at the same event. Ultimately, it only needed one embittered gang member to blow up the whole unheard-of peace treaty with one incident of violence. While the peace treaty didn’t last, the major thrust to end gang warfare largely remained. Read the rest of Blinky Rodriguez brokers peace truce among gangs in San Fernando Valley. Straight out of college, Josh Young worked for Veneklasen Associates, a transnational multimillion dollar sound engineering firm. He bought a house in Santa Monica for his beautiful bride and budding family. Then all of sudden, he jumped from the corporate ladder and ditched his enviable success. Now, Josh Young is poised to take over the Lighthouse Christian Academy as principal, as long-time chief Jack Mefford steps aside to pursue his calling to start a church in Pismo Beach this June. Some would say Josh sabotaged his own financial security, but he is completely happy with his decision for people over pay. For two years now, Josh Young has been the Chief Financial Officer of the Lighthouse Church schools and church planting machine. He was ordained as a pastor in 0000. He teaches government, guitar, economics and history at LCA. And, he’s a chaplain for the Santa Monica Fire Department, which means he gets called out of the office (or his bed) whenever there’s a first-responder’s emergency and has to be on hand for victims of fire or violence in the moment of shock when tragedy just struck. How did he get roped into the unpaid chaplaincy? As with most great things that great men do, his great wife signed him up. Getting yanked from bed for a 3:00 a.m. fire may not be fun, but he gets to wear a cool fireman hat. Josh Young was a child of divorce. His mom moved him and his two older sisters to Santa Monica. This may be hard to believe, but he was a rebellious kid. As a punishment for misbehavior, he was forced to go to youth group at the Lighthouse Church. Ironically, his “punishment” led to friendships. He was in middle school and started making friends among the Lighthouse youth. This led to him accepting Jesus into his heart and becoming a disciple. When he was about to enroll in high school, his mom asked: SaMoHi or LCA? As a scrawny freshman, he took PE, which at the time was working out with the football team. Weighing less than 100 pounds, Josh had absolutely no intention of playing 8-man varsity football with all the kid crushers in CIF’s Southern Section. But before he knew it, he was being handed football pads and a helmet and found himself, bewildered and asking what happened, on the gridiron with guys three times his weight running at him and looking to crush him like an aluminum can. Among his God decisions during high school, Josh bailed on the estrogen environment of his mom and sisters and moved into Pastor Rob Scribner’s house in north Santa Monica. Read the rest of LCA’s new principal. But I like my Barcelona soccer club sweatshirt so much that I really don’t wash it. I would miss it while it’s in the machines. But for Christmas, these church members very attentively gave me a wonderful Christmas gift, a different Barca sweatshirt. Now I can finally wash the first one. After throwing up all week, Justin Berry was expected to throw down. He decked his pads, suited up and caught one of LCA’s two touchdown passes Saturday. “There was no way I was not going to play,” the sophomore said. The tall basketball player used those basketball hands to grab over the head of a corner back and scampered into the End Zone. Feeling under the weather, Justin Berry still played. Blame 95 degree heat. The Lighthouse Christian Academy looked bewildered and disjointed as they fell 14-75 to Bloomington Christian School, whose team numbers as much as half of LCA’s entire student population. Saturday’s game featured the debut of rugby player, senior Daniel Jones, who offers some bullishness to our mostly freshman team. Daniel was a forced to be reckoned with and made some tackles and runs, but lack of experience also saw him block on the back to annul Levi Photenhauer‘s touchdown. Other than his TD and some nifty catches, Justin was laggy due to his sickness. “I played sick — in both senses of the word,” he quipped. 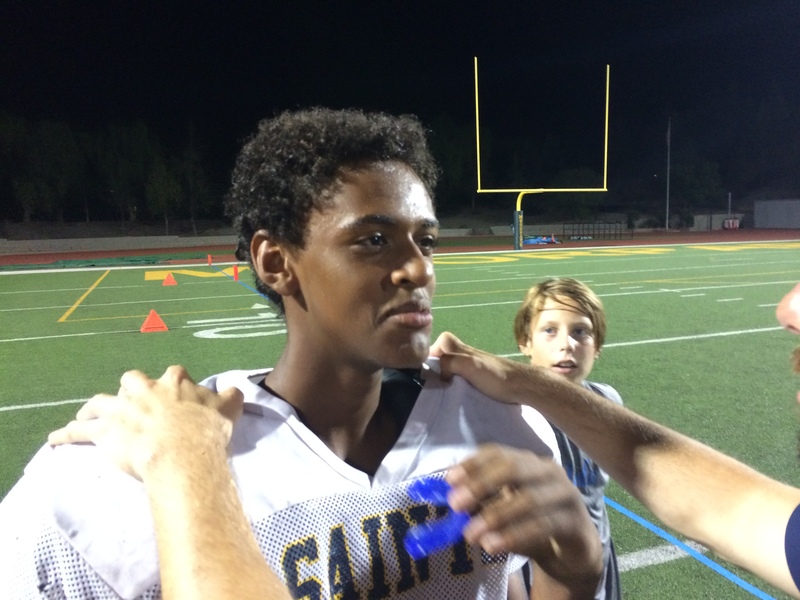 Read the rest of the Christian school football Santa Monica article. When Carolina Panthers Quarterback Cam Newton walked away unscathed from a horrible accident that rolled his truck in December 2014, he gave praise, honor and glory to God. Newton, arguably the NFL’s greatest player of 2015-16 and a Super Bowl contender, is on top of the world. Passing for 400 yards in his debut game in 2012, he bested Peyton Manning’s passing record of 280 yards in Manning’s first regular season game. This year, the Panthers are 15-1. His dual threat capabilities crushed the Arizona Cardinals 49-15 in the NFC finals. But while his professional trajectory seemed to sail through the air on heaven’s wings, things in his personal life have not always gone so well. He was hounded by an NCAA investigation for receiving payment to enroll at college, and he was accused of stealing a laptop at Auburn University. As a pro, he met and began to live with ex-stripper Kia Proctor. Newton had grown up with God. 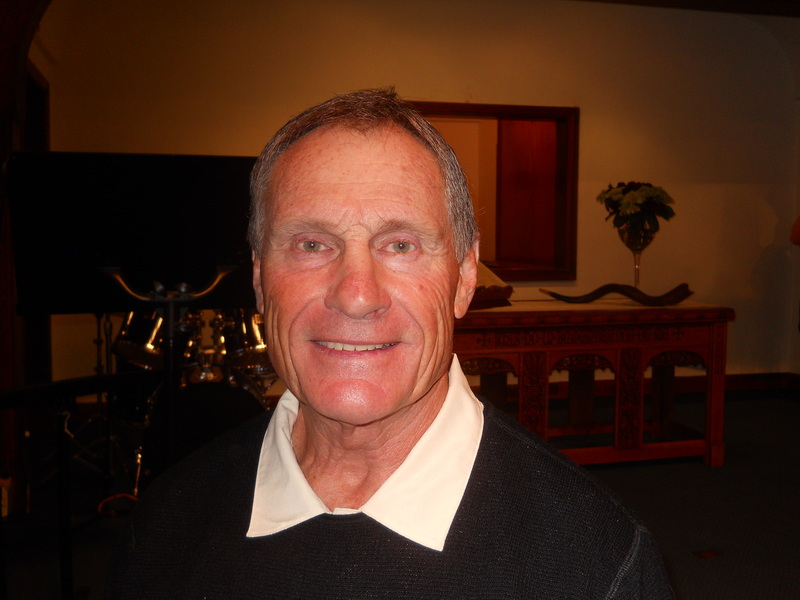 His father, Cecil Newton, is a bishop overseeing five Pentecostal churches in Georgia. But perhaps the intoxicating power of riding on top of the world caused him to momentarily forget the humility and fear of God necessary for a true relationship with the Creator. Then the accident left him shaken, reminding him about his need for God. On that fateful day, he was negotiating a confusing intersection in Charlotte when another car slammed into the rear side of his black pickup truck and sent it rolling. He clambered out the back cabin window, and paramedics took him to the hospital where doctors treated him for minor fractures in his lower back. He only missed one game as a result of the accident. “I am a prime example of how God can turn something that was bad into something that good,” Newton said after the crash. At 6’5” and 245 pounds of muscle, Newton is currently the most feared quarterback in the National Football League. Most QBs either specialize in throwing or running, but Newton excels in both, which is why the Panthers made the NFC’s best defense, the Cardinals, look like their fine-feathered namesakes — birds. When they face the Denver Broncos in Super Bowl 50 on Feb. 7, they will again be facing a team with a stalwart defense – not to mention legendary Quarterback Peyton Manning. Newton will be up to his old antics. He performs a celebratory dance for every touchdown — ostentation that football purists frown upon. He also runs the touchdown football over to the fans and hands it to a little kid — a gesture that is hard for anyone to frown upon. 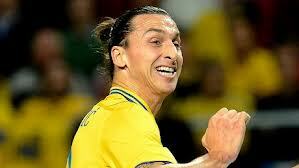 His broad, ubiquitous smile shows he enjoys the game. Newton hopes his gridiron prowess will do for the Panthers, who have never won a Super Bowl, what it did for the University of Auburn. At Auburn, he became the third player in major college football history to both rush and pass for 20 or more touchdowns in a single season. His outstanding performance earned him the Heisman Trophy, and he led Auburn to their second national championship in 2011. Read the full article here. It was written by my son, Robert, with a little help from his dad. The doctor extracted the blood that caused the painful swelling. My son Rob keeps smashing his body to pieces in sports, and he keeps going back to the orthopedist to be put back together. 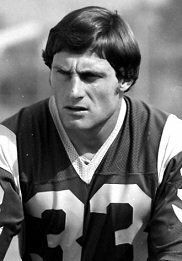 Keith Brookenthal (quite a name for a man who deals with broken bones, right?) is an sharp and optimistic doctor. He emanates confidence and allays fears with his smile. You might as well and try to finish your season. See how much your leg can support you. The right ACL was partially torn Sept. 11. Since it was Rob’s senior year, he ought to go for the glory and not play it safe. On Saturday, Rob finished tearing the ACL. But he made a touchdown, threw a touchdown pass and helped his team to their first win. Something about this doctor — whom I call Patch Man because he keeps patching up my son — reminds me of Jesus. We go out into the world and get smashed up. We come back to Jesus, and He heals us. He beams with a smile and inspires confidence. When I put my son into Dr. Brookenthal’s hands, I know everything is going to be all right. When I put my soul into Dr. Jesus’ hands, I know everything is going to be all right. Checking Caleb for concussion after he got zonked. Get that guy some glue. One of the bright spots in Lighthouse Christian Academy‘s 14-66 loss to Hillcrest Christian of Thousand Oaks was a freshman who just became old enough to play. Caleb Zerihum made tackles. He foiled receivers. He ran down ball carriers. He scrambled after Tex Hagoski to provide some key blocking on a touchdown run. He grabbed an onside kick. He caught a pass. And he dropped the ball – twice. On the onside kick, Caleb nabbed it deftly. Coach had told him to smother the ball, but the freshman is famous for forgetting instructions. Or maybe he thought he would try his hand at being the charging bull Tex who sprints, slashes and bashes his way through defenders. Caleb is bashful, but on Friday, he didn’t bash his way through the onslaught of Hillcrest tacklers. He got hit so hard he fumbled the ball. Later in the game, he Caleb caught the ball, and in his eagerness to elude defenders he bobbled the ball. His moment of glory fizzled. For the next game, will that be Elmer’s or superglue? Continuing reading Christian football. My school in Taiwan was 3,000 students – all boys, so when I came to Lighthouse Christian Academy with only 45 students, a co-ed school, I was surprised. As a Taiwanese who wanted to study in the America, I never imagined I would wind up at a high school that was so tiny. Actually, Zach Scribner is extremely nice. I never had problem with him. He was also a teacher at the Lighthouse high school – and he was the coach of the football team (hence, the muscles). As he was my host father, it wasn’t easy to get out of football. 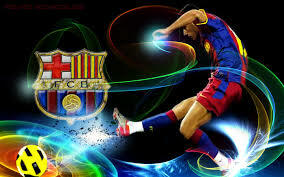 At first I thought football would be fun to try, even though I had never seen a football before. But quitting wasn’t that easy. Pastor Zach was my host father – I couldn’t let him down. And the team didn’t have enough players without me. The guys needed me. These were my new American friends, and I couldn’t let them down either. Here’s some more Messi hyperbole: He’s a superhero. Worldclass players just aren’t as fast as him. 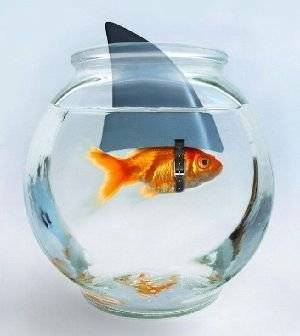 He sees his way out of traps faster. He sees and sends through-balls faster. He cuts surgically faster. He curls in shots faster. 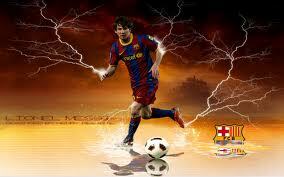 Lionel Messi led FC Barcelona to its second championship this season with two goals. The first was a solo goal that befuddles four (even six) defenders. That’s half the Atletic de Bilbao team. 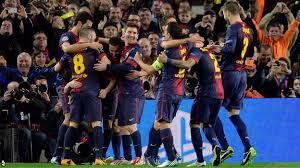 In the end, Barca dizzied their opponents to secure the King’s Cup, after clinching the league the previous week. Now the only thing keeping them from a triple-crown with the European Champion’s League next Saturday is the mighty Juventus from Italy. Seriously, Messi makes top professionals look like clumsy kids. When you pray, you’re being dangerous to the devil. Under inflated Christians are easier to grip (for the devil). So make sure to fully inflate with the infilling of the pneuma, the Holy Spirit, the rushing wind, the breath of God. Quarterback Tom Brady says it wasn’t under-inflated balls that helped the New England Patriots clinch the AFC Championship. It was the team chaplain. The 4-time Super Bowl winner is telling people that Jack Easterby, 31, gets a lion’s share of the credit for the Patriot’s season, which culminated with a final win against the Seattle Seahawks on Sunday. “He’s just a great person and friend,” Brady told ESPN. “You feel a special connection with him and with his genuine caring for all the people in his life.” While some team chaplains may feel neglected by their organization, Easterby is on the Patriot payroll with an office near Coach Bill Belichick. He’s an exceptionally upbeat former college basketball player who connects with professional athletes. His website, “The Greatest Champion,” encourages viewers to accept the greatest champion of all — Jesus Christ — who hung on the cross and resurrected from the dead. Safety Devin McCourty called Easterby “a godsend to this team” who has “helped create better men,” ESPN reported. Read the rest of my Christian sports article. Philippines-born Tim Tebow, famous for taking a knee and praying mid-game as an NFL quarterback, has now made a touchdown pass off the gridiron: a pediatric hospital under his tutelage opened for business this Christmas. Read the rest of the article: Christian news. I wrote this article for God Reports. That’s why I feature it here. The most important moment in quarterback Peyton Manning’s life was NOT when he surpassed the NFL record of 509 touchdown passes. It wasn’t any of his league-record five MVPs. It wasn’t his Superbowl championship. And it wasn’t being named player of the decade of the 2000s by Fox News and Sports Illustrated. 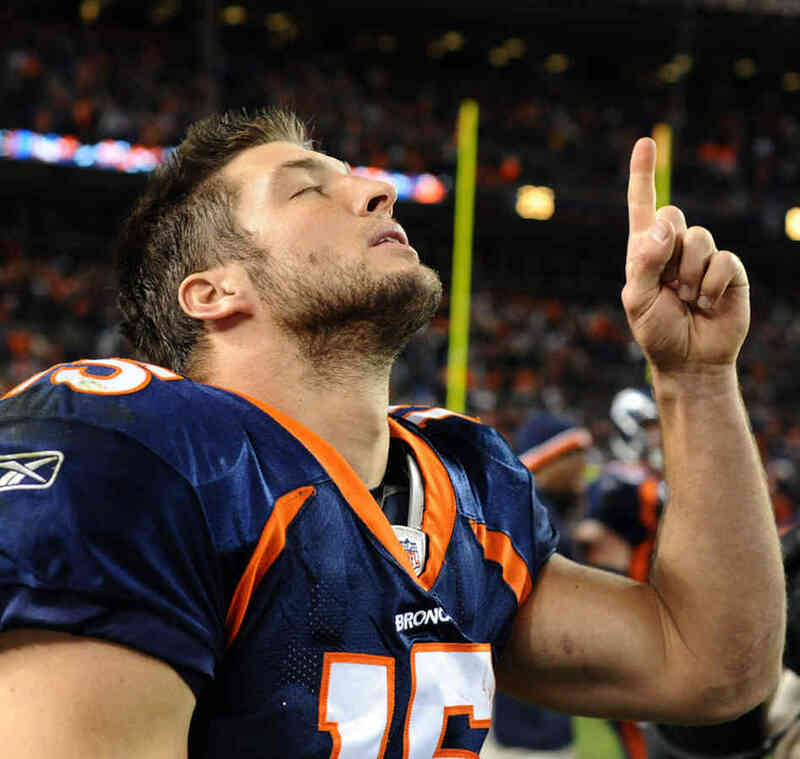 The most emotional and dramatic moment of his life came when the Denver Broncos quarterback accepted Jesus Christ as his Savior and Lord. “My heart was pounding,” he writes. 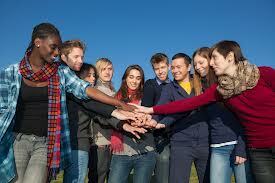 “The minister invited those who would like that assurance through Jesus Christ to raise their hands, and I did. Then he invited us to come forward, to take a stand, and my heart really started pounding. And from where we sat, it looked like a mile to the front. 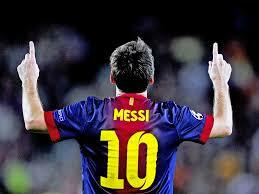 If you ponder who is the greatest footballer of all time, Lionel Messi would be a contender for the title. Thanks to Messi, FC Barcelona are the team to beat, the standard-bearers of magic on the pitch, a distinction formerly held by nemesis Real Madrid. But there would have been no Messi, and Barcelona would have remained always in the shadows of white uniforms of Spain’s capitol city, had it not been for a legend from the past. Johann Cruyff is almost forgotten in the radiance of today’s stars. But it was Cruyff who made the way for Messi. Wanted at Real Madrid, the Dutch dazzler opted to move to then-underdog Barca. Immediately he won the championship and two Ballons d’Or. Later as coach, he won four consecutive titles and one European Cup. He devised the farm training team for future stars to rise in. It was there that Messi discovered his own greatness. Today, Cruyff fades into the background as the steamroller Messi continues to smash records. Who is greater? The one who became great or the one who forged the path for him to find destiny. Maybe your ministry is waning, your influence declining. Fret not. What you have done for God has brought others into their own destiny and greatness. I don’t own the rights to this photo, and I’m not making any money on it. What I saw previously of Argentina in World Cup rounds left me doubting. They were flat. They struggled to beat easy opponents. They lacked the flair that carries teams from the Americas in the Americas to lift the gold trophy. 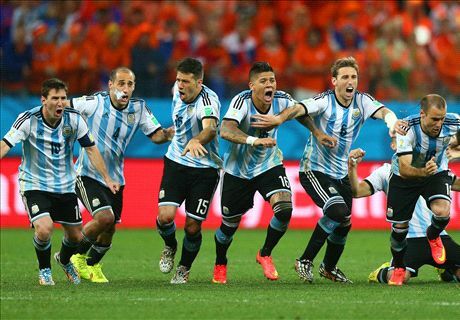 But fizzless Argentina showed up to play today against Holland and shattered my predictions. (After witnessing the Orange Machine demolish former champ Spain with aggressive defending and laser-sharp passes with unthinkable finishes, I speculated they’d win their first ever). It was a different Argentina. They looked like electrons shooting around the midfield, dominating most of the game. 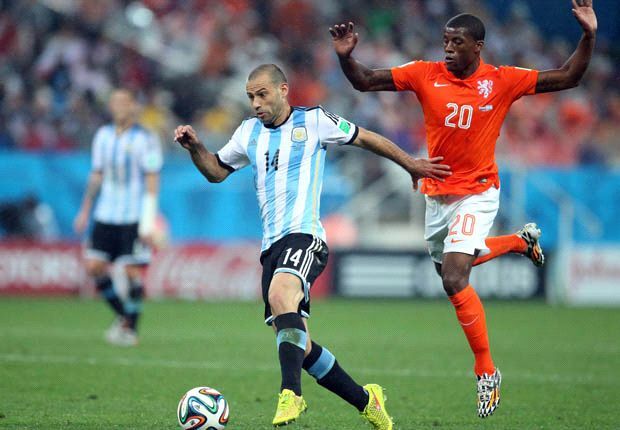 Unstoppable Arjen Robben met his match in the superb defender Javier Mascherano, whose millisecond-pinpoint tackle deprived Robben of his best chance. Argentina just couldn’t pick the lock of the Dutch defense, and so the game had to go to penalties. Incredibly, Argentine Goalie Sergio Rojas stopped two shots and thus stifled Holland’s hopes. It reminded of Samson. Ever flubbing, Samson showed up strong on game day. We live under grace to forgive our sins. When we are needed to step up to the plate, let it be a different us — a Holy Spirit empowered us — that shows up. I don’t own the rights for this photo, and I’m not making any money on it. 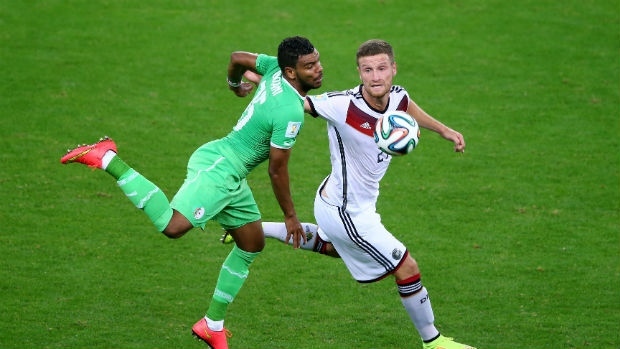 Algeria scared expected-winner Germany in extra time of octavos knockout stage of the World Cup 2014. Had the northern African nation upset Germany, it would have been justice. In the 1982 World Cup, over-confident, prideful, and racist West Germany players trash-talked the upstart Algeria team. The Algerians were nomads out of the desert. The Germans would dedicate their seventh goal to their wives, their eighth to their dogs. One player boasted the game would be so easy to win, he would smoke a cigar while playing. But the Algerians won 2-1. The West Germans were shocked. 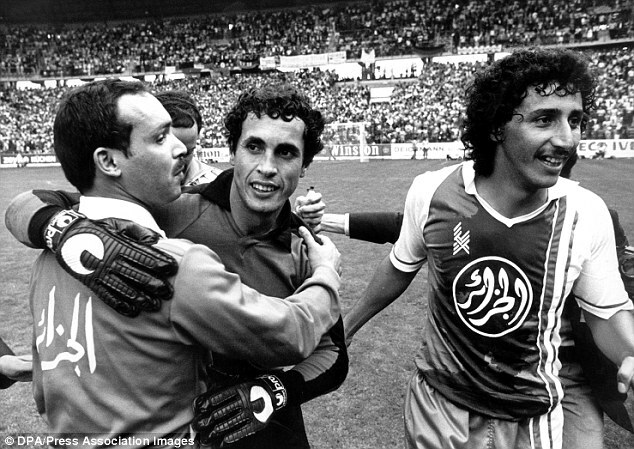 In their subsequent game, they colluded with Austria to play a game of 1-goal difference, which was the only option to send Algeria back home and allow both Germany and Austria to move on to the next round. After the first German goal, both teams essentially dilly-dallied with the ball for 80 minutes and never tried to score. Fans, who had paid their tickets to see a great game, were outraged. West German soccer officials recognized it was a “tactical game” and unleashed more racist comments. I was rooting for Algeria this time. It would have been payback for the evil, the corruption, the arrogance. Unfortunately, not every score will be settled in this imperfect world. At least this time, the Germans stayed mum before the game. They respected their opponents. Not until extra time could Germany break through a well-organized and determined squad this World Cup. They scored two goals, but Algeria struck back with minutes of play. It ended a reverse of the 1982 score line: 2-1 in favor of Germany. Algeria did respectably. 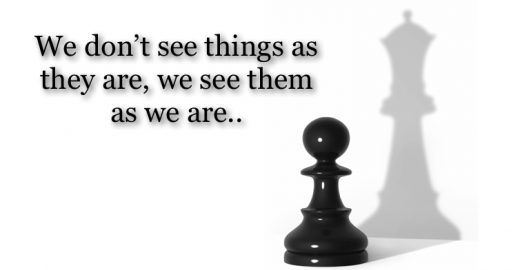 We ought to respect our adversaries always. Pic from Yahoo Sports. I don’t own the rights to this pic, and I’m not making any money on it. Landon Donovan came off bitter. Coach Jurgen Klinsmann omitted the notable U.S. star. Up until the U.S. loss, Donovan, who was my hero, was mum about the snub. He was supportive of the team. Coach Jurgen Klinsmann hasn’t lowered himself to the level of defending himself against a bitter player. No sooner did the outgunned U.S. squad get booted (logically) by a Belgium team glutted with top club stars than Donovan unleashed a rant against the coach. According to Donovan, he mismanaged the team. Julian Green wowed everyone with an extremely difficult lobbed ball over his shoulder that he hit squarely into the net, foiling the competent German goalie. This pic belongs to USMNT (I think). Thanks for letting me use it! I’m not making any money on it. As the top goal-scorer for the U.S., you are an icon, an inspiration. You’re huge, but when you lash out, you make yourself small, immature, full of yourself, etc. It’s not pretty. Many of your followers will give you credence. But a whole other slew of us are going to leave you alone, a blathering brat. If Donovan’s omission was the demise of the U.S team is material for lambasting comment threads. Klinsmann marshaled the U.S. team to success out of the very difficult “Group of Death.” He limited the German victory to one goal. He’s locked down talented stars for the future. His recruit, 18-year-old Julian Green smashed home his first World Cup goal after only a two minutes of play. A coach can only bring so many players on his squad. Had he not brought Green, the dual-citizen starlet might have opted for Germany permanently. Donovan, you’re not young anymore. We’re sorry. We love you. But go in grace. Don’t pile shame upon yourself. We want to hear your expert analysis, not your vented bitterness. Don’t go glum over the U.S. elimination from World Cup. The run was the impossible dream. Just to make it out of the group stage showed prowess. Amid the tears, there is one glimmer of hope. That was a 19-year-old kid who only played a few minutes of World Cup soccer and scored a sensational neck-stretcher wild-sideways-kick goal that sparked an emotional U.S. rally in their 2-1 loss to Belgium. A resident of Germany since age 2, Julian Green only recently defined his desire to serve the red, white and blue. He was recruited also by Germany. U.S. Coach Jurgen Klinsmann was wise to sacrifice Landon Donovan for Julian Green. 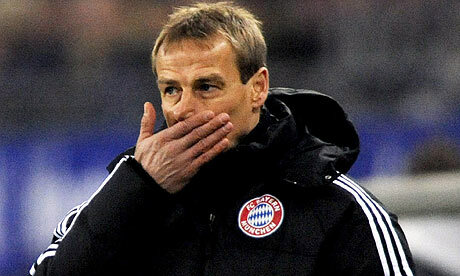 Recognizing that USA’s chances were unrealistic in 2014, Klinsmann’s taking the long-term approach to build U.S. soccer. Build, don’t burn, your program. Come back stronger. Make a squad with a realistic chance at winning a World Cup. Until now, our only flourish was a 2nd-place finish in the Confederations Cup in 2009. If you are church leader, it matters little how badly you’re getting beaten (by lack of finances, by apathy, by attacks on your health). The only thing that matters is how you marshal your resources to build God’s kingdom. If this doesn’t appear to be the year of revival, maybe next year. The impossible dream is not over. It’s just extended. 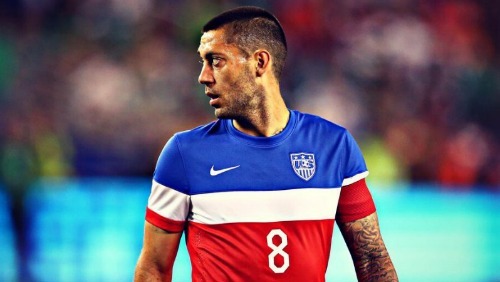 Clint Dempsey. I don’t own the rights to this photo, and I’m not making any money on it. Part of the weakness of the U.S. Men’s National Team is the lack of a true finisher. Clint Dempsey finished a 34-second goal against Ghana that was nice, but he’s not like the finishers who given half a chance bury it in the net. Cristiano Ronaldo is a great finisher, but he was injured, so he played poorly. Luis Suarez is deadly as a striker; too bad he likes to bite opponents. Wesley Sneijder took a back-header bouncing ball and rocketed it low into the net to sink Mexico’s hopes for their first-ever World Cup. Impossible to stop, Sneijder’s goal was part of Holland overturning a 1-goal deficit to win. I don’t own the rights to this photo, and I’m not making any money on it. The U.S. has an awesome goalie, competent defenders, a sensational midfielder, speeding wingers. Dempsey has played forward successfully in the English Premier League, so he’s the best thing we’ve got (if Jozy Altidore doesn’t recover from injury) for Tuesday’s game against Belgium. He’s hardworking, but he’s not a natural finisher. 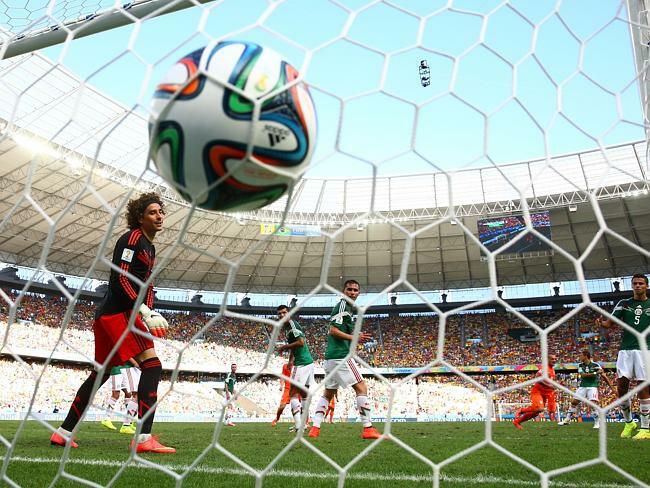 After barely qualifying, Mexico produced some spectacular football but lost because an exquisite finisher. I don’t own the rights to this photo, and I’m not making any money on it..
Every team needs a finisher. Team U.S.A. doesn’t have one. By Picketty on redbubble. I don’t own the rights to this art, and I’m not making any money on it. Forget about U.S. sharp shooter Clint Dempsey. Never mind the incredible saves by Tim Howard. The U.S. men’s national team advances, while Portugal limps embarrassed back home. The hero of the World Cup is Cristiano Ronaldo. This is the Hollywood-ready pretty boy I’ve sent to the itamae often for diving, cry-babying and basking in his own image on the replay screen at the stadium. I’m now his enthusiastic admirer. I’m not being sarcastic either. I’m not thinking about how his injury-induced tepid play helped the U.S advance out of the Group of Death, nor how his timely goal ensured Ghana’s defeat (that also helped us). I’m talking about his haircut. Football players are famous for crazy cuts. 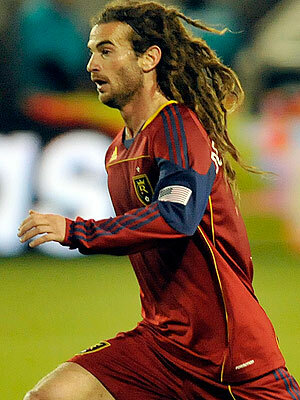 You’ve got Kyle Beckerman’s shock of dreadlocks. You’ve got mohawks and numbers buzzed into the side and all kinds of things. 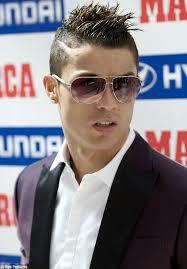 When Cristiano Ronaldo showed up with a zig-zag pattern, fashionistas groaned. Then people found out it was more than just a racing stripe. CR7 mimicked a scar on the head of Erik Ortiz Cruz, a Spanish boy whose $83,000 brain surgery he paid for. It was tribute and solidarity. Forget about who ultimately lifts the gold trophy. The Real Madrid superstar is the biggest winner of all those brats who disgust with their entitlement and unthinkable salaries. Once and for all, the 2013 Ballon d’Or winner shatters his image as Narcissus. I can just turn my computer screen off now. I’ve seen the best the World Cup has to offer. Pundits predicted that America OUGHT to win against Ghana, MIGHT tie with Portugal, but STOOD NO CHANCE against Germany. Tomorrow we shall see in the USA´s last World Cup group stage game if the red, white and blue can pass to the next round. Germany´s football was like their engineering: precise, inerrant, mechanical. America on the other hand had scrapped together what it could, a ragtag band of players, only a few of which were from top leagues around the world. Clint Dempsey’s 34-second goal against Ghana. I don’t own the rights to this photo, and I’m not making any money on it. 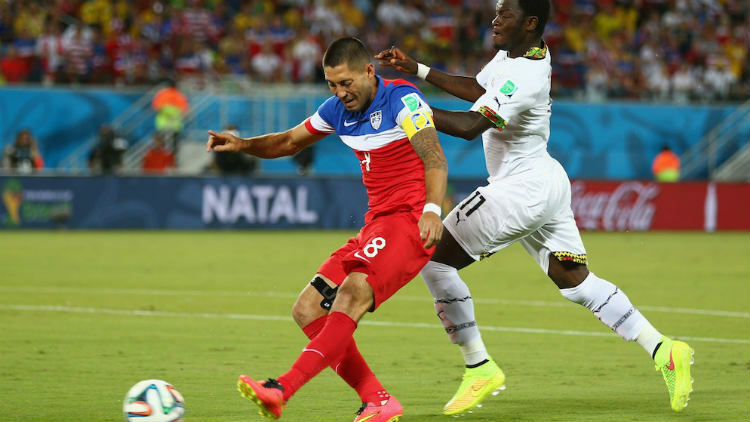 Against Ghana, the USA scored an early goal and weathered a storm of shots for 90 minutes. They were sloppy, lethargic, unambitious. They couldn´t maintain possession. By a miracle of God, they won 2-1. 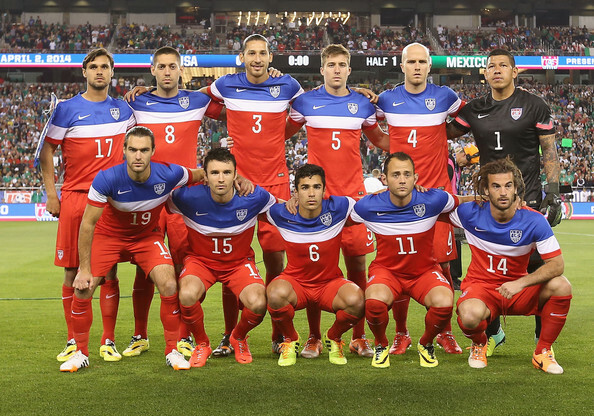 Against Portugal, America improved greatly. They played open football (that’s soccer, for the uninitiated), maintained possession and set up goals with creative passing. Unfortunately, Michael Bradley gave up the ball to Portugal and a U.S. defender failed to track back with his mark, and that’s how Portugal tied in the last minute. It was a disappointing end to what would have been an upset (led by Christiano Ronaldo, Portugal is a football powerhouse). But I was happy because the U.S. did much better. 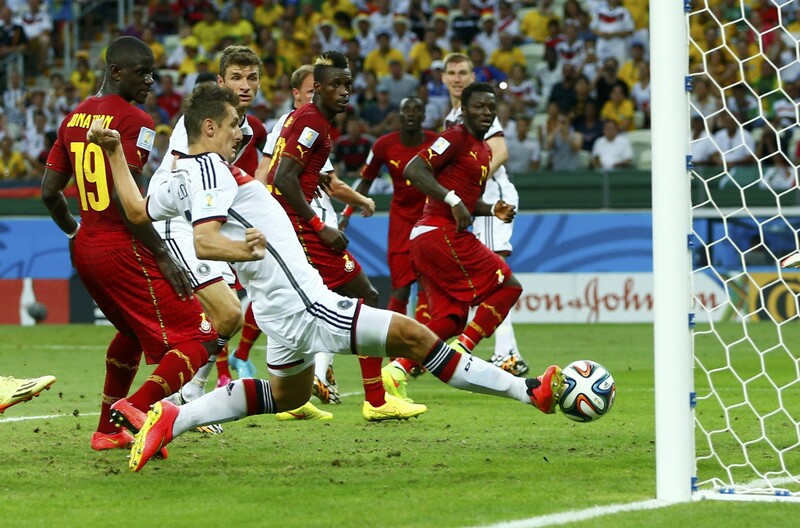 Germany dismantled Portugal but struggled to eke out victory against Ghana. Their mythic precision was off. Will the Yankee Doodle dudes beat Goliath? Part of the answer lies with belief. They mustn’t cower in fear but like David defy their opponents’ depth of experience, speed and accuracy. They must concentrate without a millisecond of slip-up. That’s how we Christians should face everyday in God too. pic from Business Insider. I don’t own the rights to this pic, and I’m not making any money on it. 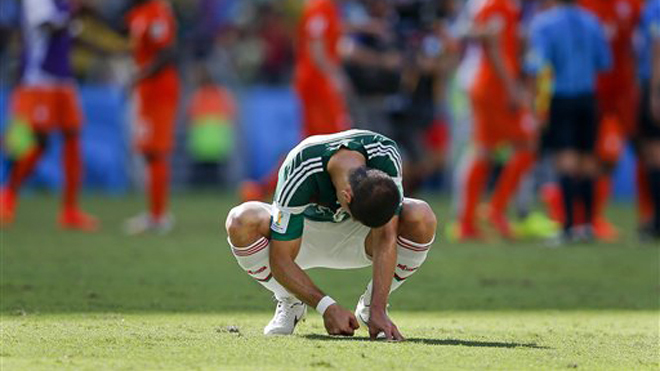 Netherlands tore up World Cup favorite Spain in a 5-1 humiliation on the second day of the tournament. Robin Van Persie flew like Superman to header the ball into Spain’s net over the head a hapless Iker Kasillas evening the score to 1-1 in the first half. Then, hothead Arjen Robben coolly showed surgeons how to do a triple bypass in one second. He deftly caught a long ball on his FOOT that make NFL one-HANDed catches look like a piece of cake. Arjen Robbin celebrates after goal. Pic from Dirty Tackle. I don’t own the rights to this pic, and I’m not making any money on it. Settling the ball, he cut contrary to two rushing defenders and fired on goal contrary to a leaning goalie. He bypassed three players single-footedly with surgical precision. Spain — which dominated the game in the first part of the first half, looking as if they wanted to retain the golden trophy — looked stale, ineffective, slow, discouraged. Only Andres Iniesta showed life. How did he do it? Van Persie makes an improbable connection with the ball and bounces it perfectly over the goalie and under the bar. Pic from Dirty Tackle. I don’t own the rights to this pic, and I’m not making any money on it. At risk of sounding off prematurely, I declare this game the most exciting of the World Cup. If Netherlands plays every game like this, they’ll carry home the gold. Being the unfavored, defying the odds, playing hard, believing in the impossible — these are all things of the Christian heart. 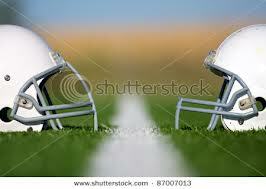 Play your day for Christ to take the trophy home… to Heaven. Don’t resign yourself to losing just because the odds-makers are against you. Netherlands lost the final to Spain in the last World Cup. Now, they can savor revenge. Damien Berry sold one of the most coveted items in the world: his 2013 Superbowl ring. Since he didn’t play for the Ravens due to injury and other reason, he probably doesn’t savor the symbol of a victory he took no part in. What’s surprising to me is that not more players sell their rings. Those rings are certainly NOT exchangeable for salvation. The glory of this world dies with death. This player idolizes his ring. Jesus said: I have given them the glory that you gave me — John 17:22. It’s uncertain what exactly that means, but what’s beyond doubt is that whatever God has for us will make this world’s glory look like a 20-watt bulb right next to the sun. Don’t be too busy: how to pray? Iker Casillas didn’t have to do anything to win! In the boring Italy-Spain Confederations Cup semi-final, Casillas just stood there on the penalty shoot-out that settled a sluggish 0-0 into overtime match. As a matter of fact, Italy’s goalkeeper Gianluigi Buffon didn’t stop a single shot either. It could have been a spectacular show of goalkeeping prowess, but neither could stop any PK. On a few penalty shots, Casillas dove. But after one cheeky Italian chipped it straight and center, he apparently decided to stop diving. He just stood there uselessly. The dives were pretty much pointless anyway because both teams drilled home unstoppable PKs. So Spain won 7-6 because Leonardo Bonucci launched his to the moon instead of the net. Here were the world’s two best goalies, and neither made a single save. The penalty shoot-out reminded me of prayer. We can try. We can dive. But ultimately, the victory has nothing to do with us. Victory comes from above. Effective prayer does more than doing more. That’s why the overworked minister who neglects prayer commits a fatal mistake. He spins his wheels. The lion’s share of the work belongs to God Almighty, and the minister (not almighty) tries to do it. If you yearn for greater effectiveness, pray more and work less! Pray effective prayers. Why do people hate the good guy? 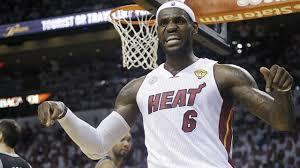 James Lebron led the Heat to the NBA comeback final victory, and I was happy. He has been unjustly criticized for choking in finals, for betraying his first team, even for his skinny teams. They trash-talk him. 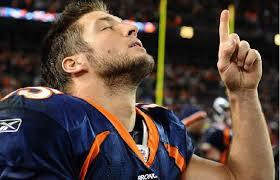 Tim Tebow talks Christianity, and they shut him up. Collins talks homosexuality, and it´s national news. He’s a hero. If it’s over, where’s the elation? Barcelona won the 2012-13 Spanish league when it wasn’t even playing. It’s nearest competitor, Real Madrid, tied, and, with only a few games left in the season, no one can reach Barca’s points. Winning by NOT playing (when your rival ties) is a very undramatic way to seize a crown. But that’s the way the European leagues work: no flourish of playoffs. It’s boring mathematics: whoever has the most points, wins. Now whatever FCB does — even it loses every game 0-20 — it cannot lose the league. Despite being an avid fan, I’m disappointed. Where’s the flush of excitement of a memorable finale? Where’s the high fives in front of the big screen with pizza with my buddy Adan? In the essence of anti-climax, I read it on Yahoo soccer news. It was over, and I wasn’t even watching the game to relish it (why would I? It wasn’t even my team’s game). Instead of seeming happy, it’s a let-down. No more tension as a rival threatens a comeback. No more discussing injuries and speculating who will cover what position. No more guessing outcomes, despairing over setbacks. Christianity is like this: it’s over. 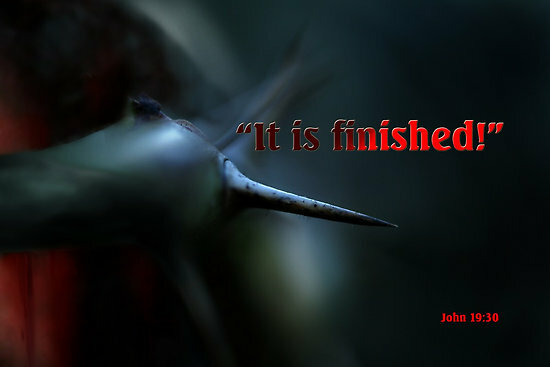 Christ won — a long time ago, at the cross. What remains is an unavoidable and boring march towards victory. We can lose the excitement of God’s crushing championship, but we should never forget that He has won. The fact that secularists appear to be winning our nation is much like Iran’s president denying the Holocaust: ludicrous brouhaha. persistence in securing wins (Barca still wins games, even though they can’t lose the championship losing games). Show our stuff! 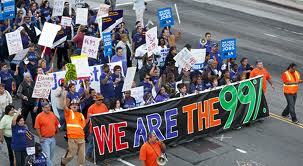 Among other things, the 99% movement was about the disenfranchised and powerless getting power. It didn’t work because the oligarchy won. Prayer is also about the powerless seizing power. When in this world, you have no means to deliverance, to health, to change lost friends or relatives. You only have prayer. 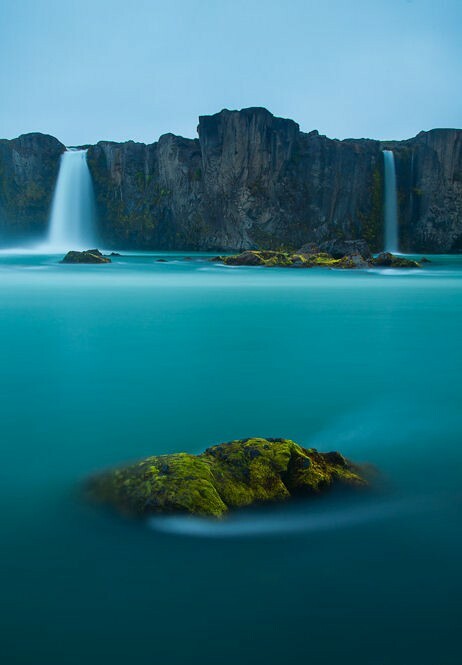 You feel helpless to do anything, and you turn to God, who CAN do everything. No power structure, conserving its privilege, is going to be able to subvert God, the Power over every other power. Don’t just stand idly by, wringing you hands, woefully wishing things were different. 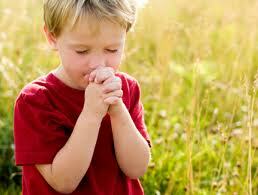 Seize power and change your world: pray today. God has 100% of the power. Rob’s team’s football helmets just arrived. They cost $200 each. 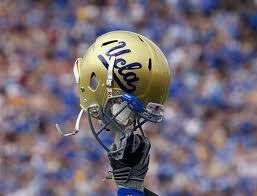 One special helmet, for a high school student injured last year, cost $1,000. That’s a lot of money for sports equipment. Then again, when it comes to your head, you don’t want to tight-wad. A head injury, almost more than any other part of the body, can cause death, so maximum protection is imperative. Ephesians exhorts us to protect our spiritual cranium. Put on… the helmet of salvation. — Eph. 6:13,17 (entire verses are not cited). I understand that when we are “born again,” we cannot be “unborn,” to follow Jesus’ metaphor. So I don’t think salvation is like a light switch that you turn on and off depending on your behavior. However, this scripture certainly gives us the idea that you need to “put on your salvation” daily. Undeniably, there is a daily element of renewing relationship with Jesus Christ, and that is salvation. I don’t mean to settle or even get into a centuries-long debate about salvation here. I only mean to inspire Christians to the daily act of prayer — preferably in the morning — as part of protecting your relationship with Jesus. It’s worth the investment to protect your head: make time to pray.